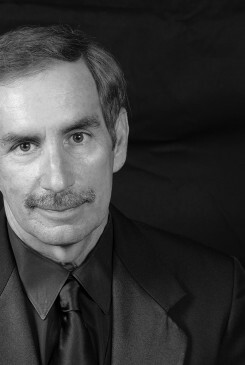 Dr. Kenneth Ozzello is the director of bands and a professor of music at The University of Alabama. Dr. Ozzello joined the University faculty in 1989. He holds a Bachelor of Music in music education and a Master of Music in conducting degrees from West Virginia University. He earned the Doctorate of Education from The University of Alabama. Dr. Ozzello is the conductor of the Alabama Wind Ensemble, which has performed at numerous regional and national venues including National CBDNA, Southern Division CBDNA, Southern Division MENC, and the Alabama Music Educators Conference. In May of 2008, the Naxos contracted the ensemble to record a CD of the works of Ira Hearshen for their Wind Band Classics Series. The CD includes “Enterprise,” a work for wind ensemble and choir commissioned by The University of Alabama. The work honors the seven students who lost their lives in 2007 when their high school was destroyed by a tornado, and it was premiered in Enterprise, Alabama on the one-year anniversary of the tragedy. The Alabama Wind Ensemble has commissioned and premiered dozens of other works from composers such as David Maslanka, Donald Grantham, Ira Hearshen, Nigel Clarke, and Jim Bonney. Dr. Ozzello is also the director of The University of Alabama “Million Dollar Band,” one of the most widely recognized symbols of The University of Alabama and Crimson Tide Football. In 2003 The University of Alabama “Million Dollar Band” received the prestigious Sudler Trophy, which is the only national award honoring excellence in the college marching band activity. Prior to arriving in Tuscaloosa, Ozzello served on the staff of the West Virginia University Band Program. He also spent five years as the director of bands at Jeannette High School in the Pittsburgh area. Ozzello now heads up UA’s graduate wind conducting program and maintains a busy national schedule of clinics and guest conducting engagements.